1. 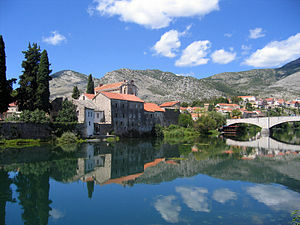 Which country is to the north of Bosnia and Herzegovina? 2. 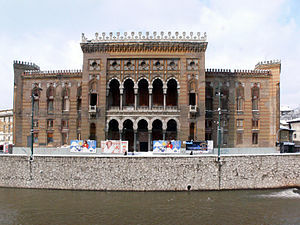 Which is the capital of Bosnia and Herzegovina? 3. Which is the currency of Bosnia and Herzegovina? 4. Which of the following is not an official language of Bosnia and Herzegovina? 5. When was Stjepan Tomas king of Bosnia? 6. Who was Bosnia and Herzegovina’s prime minister in 2008? 7. Who was Republika Sprska’s president in 1992-1995? 8. When did Austria-Hungary annex Bosnia and Herzegovina? 9. When did Bosnia and Herzegovina declare independence from Yugoslavia? 10. What is the colour of stars on Bosnia and Herzegovina’s flag?